WPI wins 12th annual SailBot 2018! 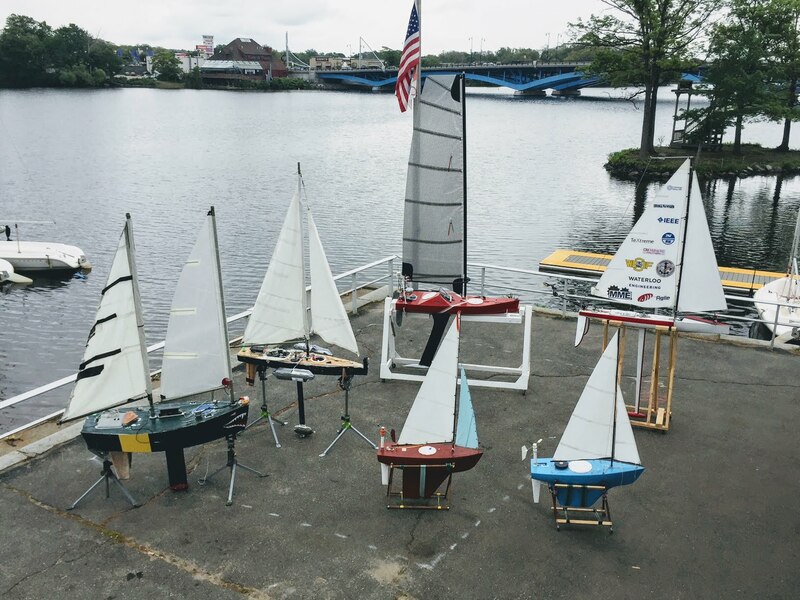 The 12th Annual SailBot Regatta was sailed from June 11-15, 2018 in Worcester, Massachusetts and had seven teams. 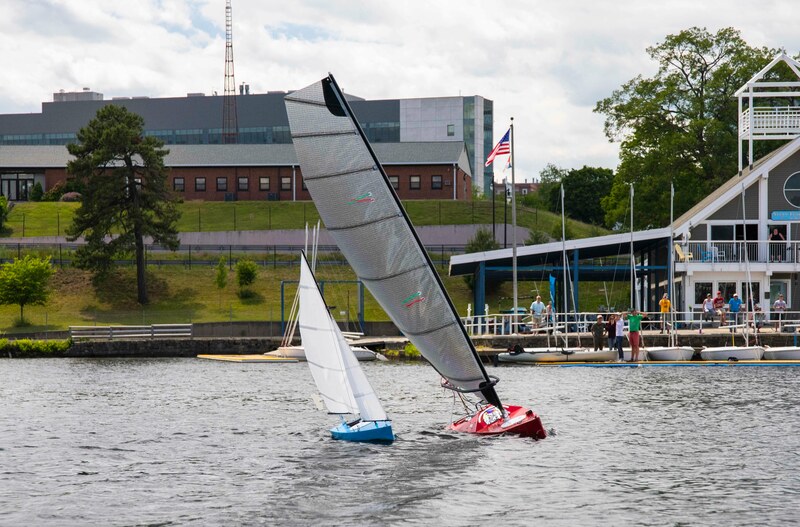 The 13th International Robotic Sailing Regatta (IRSR) SailBot 2019 will again be hosted by Worcester Polytechnic Institute! 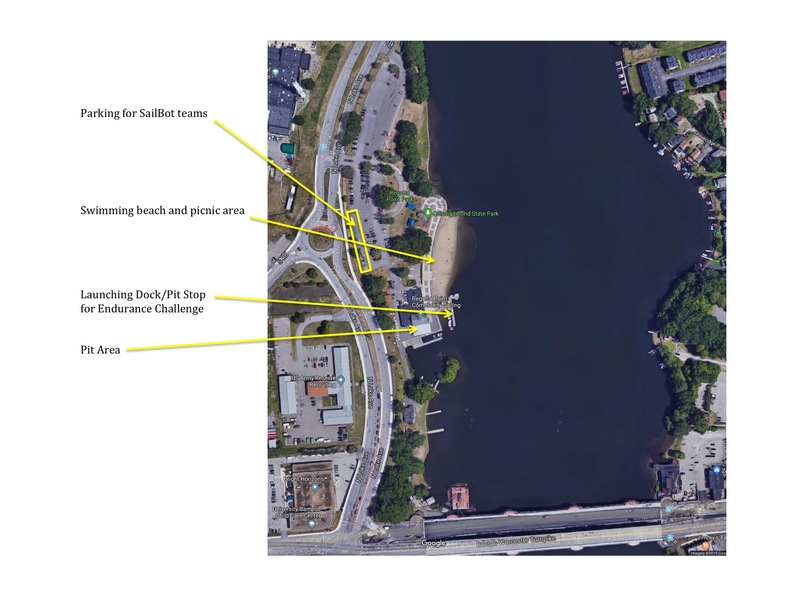 The tentative dates are June 3-7, 2019 on Lake Quinsigamond in Massachusetts! Building on previous events’ success, similar challenges will be run. The competition is open to students from secondary schools, undergraduate and graduate programs, individuals and companies. The challenge events are designed to span the range from easy to difficult so new or small teams can score points their first year and can improve their boat in succeeding years. For example, the Fleet Races require all boats to use remote control (to prove they have a robust remote control override for safety reasons), which is an achievable goal for a new team, while the Navigation event must be autonomous and requires precision control, so might be a goal for the second year. Many of the events can be done in remote control by taking a points penalty. With the exception of the Fleet Races, a boat/team only competes against its own potential rather than against the other teams. Each event requires different design characteristics of the boat and systems so a team can build on their progress from year to year. For instance, as it is often difficult to determine where the wind is coming from on a boat 200 meters away, a good first-year autonomy goal is computer-controlled sail trim. Open Class (maximum 4 meters in overall length). Please send any questions or suggestions to sailbotcompetition@gmail.com. Feel free to contact us if you are hoping to put together a team and need help!